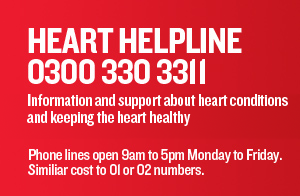 Find out how our life saving research is helping people with heart failure. Living with severe heart failure is a constant fight for life. Every year, thousands more families have to watch the people they love struggle with this devastating condition. Through the Mending Broken Hearts Appeal, we have funded £25 million of research into regenerative medicine across the UK. This work aims to help repair the heart following a heart attack, which would benefit the majority of heart failure patients. Whether it's donating, taking part in an event or holding an event yourself, your support will help us fight back against heart failure. Wear a heart badge to show your support and help fund our life saving research. Buy one from your local BHF shop. Zebrafish - do they hold the secret cure? Find out how these zebra fish could hold the secret to mending broken hearts.